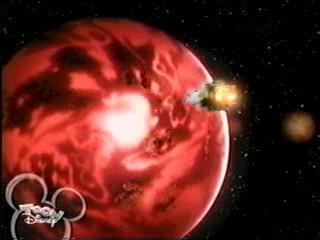 Rule Number 1 when piloting a space ship at hyper speed: NEVER plot your course to go NEAR a Red Supergiant sun! My bad! I must have missed only about the trillionth scene where PRSPD was sucking again when this happened!